An acrylic painting of a Florida Keys window view. 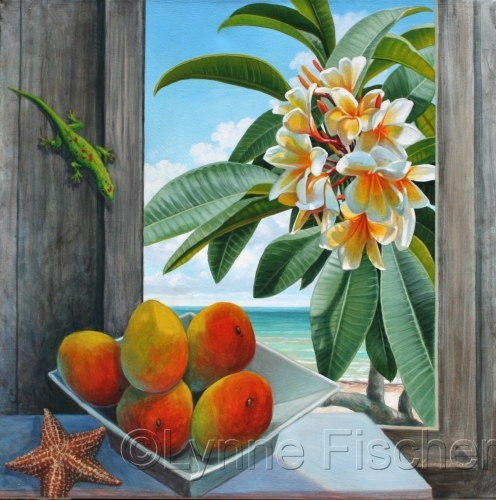 Frangipani, mangoes and starfish as well as a day gecko share the scene. 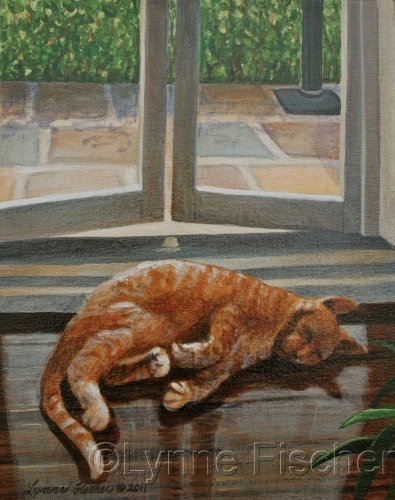 An original painting of one of the famous Hemingway House six toed cats enjoying an afternoon nap in the tropical sun.